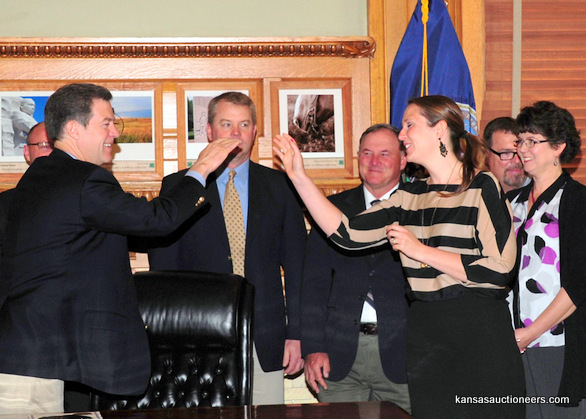 On April 24th the Board of Directors meet with Governor Sam Brownback for the signing of a proclamation of April being Kansas/National Auctioneers Month. As always, it seems that auctioneers are one of his favorite groups to meet with. After he was told KAA President, Megan McCurdy, is the IAC Women’s Division Champion; he asked for her to auction off a fossil artwork on his wall. Of course, the Governor had the winning bid.